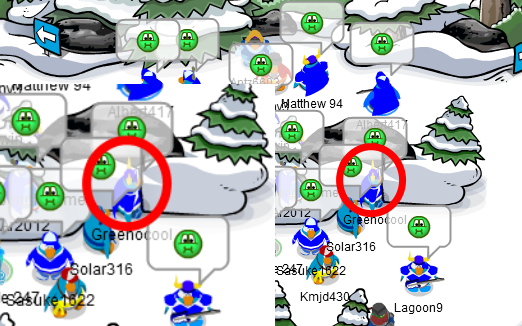 « Greenocool – A Member of the Ice Warriors Army of Club Penguin! Hello there guys! 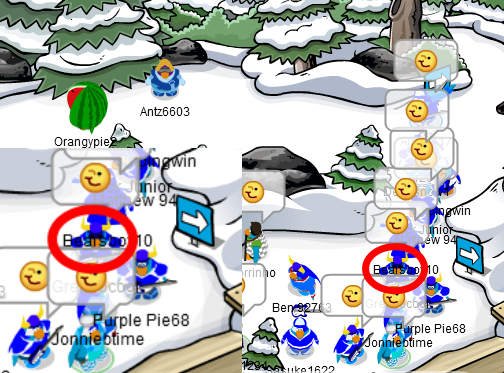 If you’ve read my earlier post you would’ve surely understood that I’ve been a member of the Ice Warriors Army of Club Penguin since quite some time now… about 3 weeks or so! 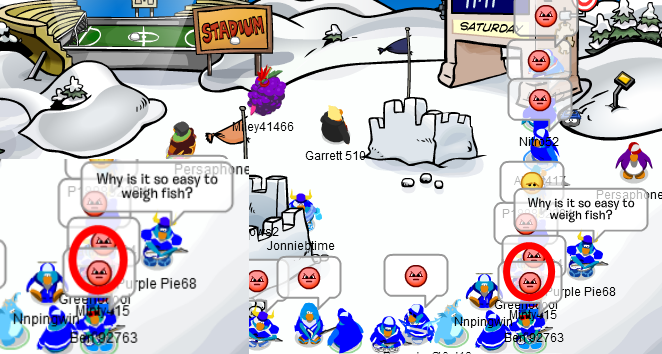 I also stated that I will make posts from time to time about the Ice Warriors and myself, too. 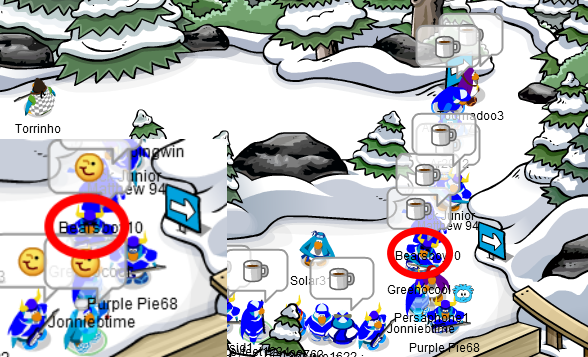 For the first ”episode” I will show you a few pictures of recent Ice Warrior invasions/training sessions, but they won’t be just ANY pictures, of course! 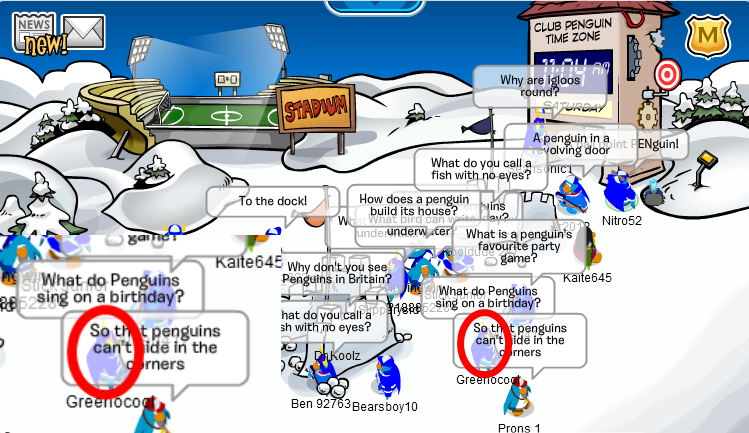 My penguin will be in them and sometimes you have to spot it yourself! Pretty cool, huh? I thought so, too! 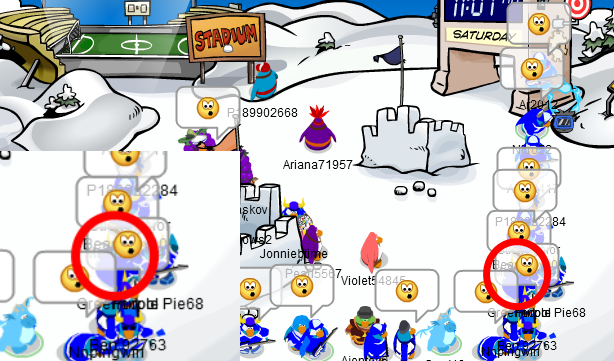 Let’s take a look for example at the Invasion of Dry Ice September 2012. 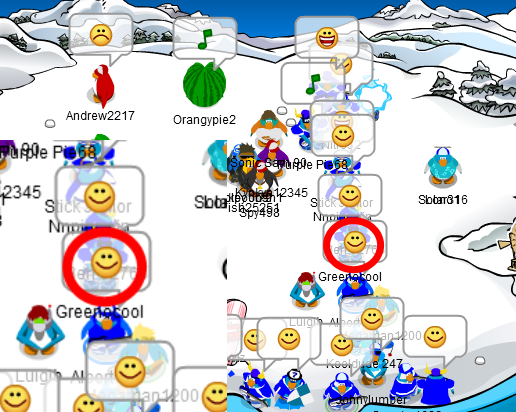 NOTE: There is a small ”magnifying-square” added to the left or right corner of the screen on some pictures so you can see my penguin better. We did a big invasion there, didn’t we? Expect more pictures coming soon! This entry was posted on September 17, 2012 at 5:08 pm and is filed under Exclusives, News, Other Stuff, Secrets, Videos. You can subscribe via RSS 2.0 feed to this post's comments. You can comment below, or link to this permanent URL from your own site.